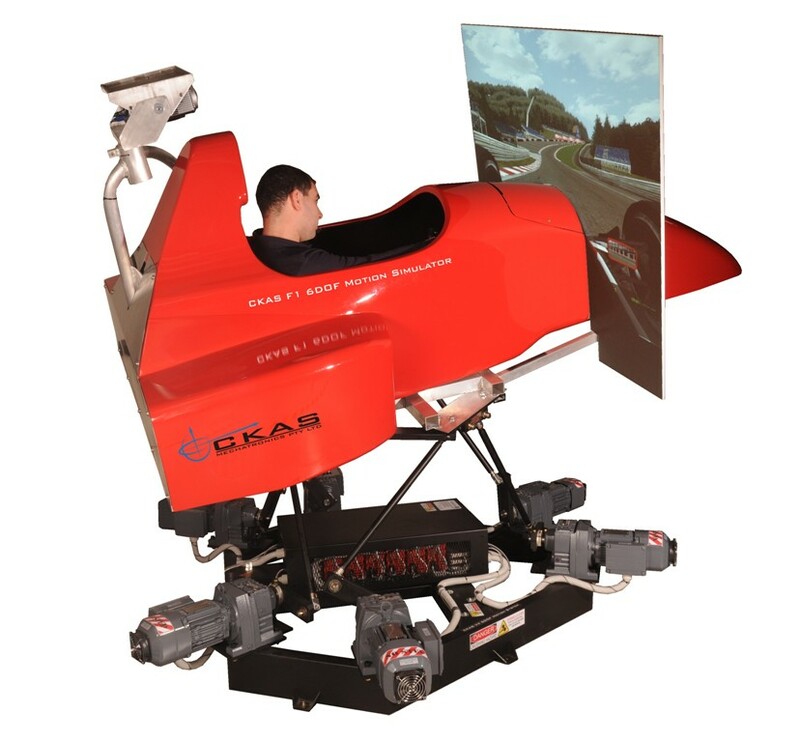 CKAS Mechatronics produces the World's most sophisticated driver training motion simulators by far. Our units are fully engineered and developed to professional international standards. We produce Serious Entertainment systems, Racing Driver Training Systems, and Domestic and Commercial Driver Training Simulators. We manufacture Formula 1, GT, Rally Car, Bus, Truck, Heavy Vehicle and domestic automobile driver training motion simulators - all available on true full motion (6 degree of freedom) electric motion platforms. Select one of the categories below to read more and see some media of our award winning devices. Serious Motion Simulator for "Home"
CKAS Mechatronics are experts in Robotics Design Engineering and can tailor a solution to your specific requirements. If you would like further personal discussion on your requirement, please either fill out the online Contact Us Form OR call on +61 3 9338 4919.